Update 10th Feb: The Darker Projects team have produced a rather excellent audio drama version of Silver Spiral that you can download here. Read the preamble (why this story exists), and the aftermath. Far across the universe, something big was about to happen. The explosion would outshine an entire galaxy and be visible billions of kilometres away. Its light would travel across the universe for millions of years but, aside from a few astronomers, it would go unnoticed on the Earth. With a grating, wheezing noise, a small blue box flickered into existence. "Have a look..." the Doctor replied, tapping a control, "but... don't step outside." The door of the TARDIS clicked open, and Martha gave him a quizzical look. "Why, what's out there?" "Take a look" he said, a lopsided grin on his face. Gingerly, she pulled open the door of the police box and looked out. "Oh my God," exclaimed Martha. "Is that real?" She was looking out at a vast star-scape, hundreds of stars embedded in swirling clouds of gas, stretching out as far as she could see. "What? Of course it's real!" he laughed, looking out over her shoulder. "It's amazing! Where are we?" "A long time ago, in a galaxy far, far away..." he quoted thoughtfully. "Sorry. We're in a galaxy the local species call the 'Silver Spiral'. From Earth, it's a tiny, faint speck in the sky, somewhere in the constellation of Perseus. You'd never even notice it without a telescope. These stars are part of a cluster formed just a few million years ago, out in one of the spiral arms." "It's beautiful. But... why are we here?" "Why not?" he said. "Have you ever seen a star explode?!" "You see that one?" he said, pointing to a large red star to one side of the cluster. "It's just one ordinary star doing what it does but, any minute now, for a tiny fraction of time, it will become brighter than this entire galaxy! The explosion will be visible in the skies of thousands of species across hundreds of galaxies. To most of them it's just another transient star, but not you humans, oh no! Scientists on your planet point as many telescopes as they can at it. They even give it a name: 2007gr." "No, not very poetic really," he admitted. "Logical though - because they discover it in 2007. You lot, all you've got to understand the universe are the photons you collect, those tiny little pathetic scraps of energy that travel on through the universe until they hit something. And yet you know so much! That's what I love about you humans, always curious, always trying to understand, study and catalogue the universe, and, even when you don't know all the facts, always blundering on..."
"You can talk!" retorted Martha. "Yeah... gets me into trouble," he said with a grin that stretched from ear to ear, "but that's half the fun!" "So it's a star that's actually going to explode?" "Yep!" he paused. "Well, technically, there's a collapse first, then an explosion." "Oh." She looked worried. "Hang on, aren't we a bit close? Shouldn't we, well, move out of the way?" "But it's made of wood!" "Trust me, she's tougher than she looks." Pressing buttons, shifting levers and twisting knobs, the Doctor danced around the console. You'd never guess he was 900 years old, she thought, he acts more like an excitable five year old half the time. "Doctor," she asked, looking out at the star through the open door, "why does it collapse?" "Hmm?" he said distractedly. "Oh, it runs out of fuel." "More like a nuclear fusion reactor. The temperature and pressure in the core of a star are so high that hydrogen nuclei fuse together forming helium, that's what creates all that heat and light that keeps Earth from freezing." "The Sun is a giant fusion reactor?" asked Martha in disbelief. "Oh yeah, the Sun has been fusing hydrogen for, oooo, five billion years by your time." "Wow. So when a star runs out of hydrogen.... what, it stops?" "Then," he said excitedly, "it starts to shrink. The temperature and pressure go up as it collapses until it's hot and dense enough that the helium nuclei start to undergo fusion." "The helium that was made from fusing the hydrogen?" "Right. And when it runs out of helium to fuse..."
"It shrinks and gets hotter, right?" He nodded. "It shrinks, gets hotter, and starts fusing the helium forming carbon, nitrogen, oxygen - the stuff that makes up most of you. Just think, you're made from chemicals that were created in the heart of a star." He grinned at her again. She looked down at her own hands curiously. "All right, say I believe you, you still haven't explained why it explodes!" "Ah, well, eventually if a star is heavy enough, that burning process carries on through heavier and heavier elements, going faster and faster until it gets all the way to iron. Once you get to iron, you need a lot of extra energy to keep the fusion going, and there's no where for it to come from. The core starts to collapse again, but uncontrollably this time..."
He nodded again. "... until it reaches the density of nuclear matter, effectively becoming one giant atomic nucleus, but then there's nowhere for it to go but back out the way it came, and KABOOM!" he yelled, causing Martha to jump in surprise, "the material in the core rebounds and causes a shock wave which rips through the star, stopping the inward fall of material and causing an explosion." "So does every star do that? Oh my God, is that going to happen to the Sun?" "No," he laughed. "The Sun's not nearly heavy enough. It is quite common though, pretty much every star more than about eight times the mass of the Sun will end its life this way." "So why is this one so special?" Martha asked, puzzled. "Look, there, it's about to go! An explosion with the energy of ten octillion megatons of TNT, such a violent comparison..." he paused, with a curious expression on his face. "Ah! I've got it, it's the same energy released in one second as a star like your Sun releases in 30 *billion* years!" he said triumphantly. "Oh, except the Sun isn't going to last that long. It turns into a red giant in, ooo, about the year five billion. Then it expands and swallows the Earth. I should know, I was there." "Oh yeah." He paused, "I met the Face of Boe that day." "Oh my God, you're serious!" "Any moment now, wait for it.... *there! * And look, there, do you see those jets of material? They're moving at about one hundred and fifty thousand kilometres every second, that's about half the speed of light!" Martha stared at the spectacle in front of her. Where, a moment ago, there had been a fairly ordinary-looking large red star, there was now such a bright light that it hurt to look at it. Peering down she saw a jet of material shooting away from the site of the explosion. She tried to make out what was in it, but it was just a blur. "But," she said, turning back to the interior of the TARDIS, "isn't light the fastest thing in the universe?" "That's right, nothing travels faster, the ultimate speed limit! You need a lot of energy to travel that fast, and there isn't enough energy even in a supernova to do that. This stuff is pretty quick though, and this is the first time astronomers on the Earth have seen an outflow like that happen." "Hang on," said Martha. "You said astronomers on earth called this explosion 2007gr because they saw it in 2007? But light takes time to travel anywhere, and the Earth must be miles away...."
"Thirty five million light years, or thereabouts." replied the Doctor. She looked puzzled. "And a light year is...?" "The distance light travels in an Earth year. One light year is about, oh, nine and a half thousand billion kilometres." "So does that mean we're way in the past? Are there dinosaurs running around on Earth right now?" Martha asked excitedly. "Not likely, they mostly got wiped out sixty five million years before your time. That was quite a day," he muttered. "No, thirty five million years ago mammals were running around on land and there were even sharks starting to appear in the oceans." He leaned on the console and looked at Martha. "Now, there's an idea, how would you like to see prehistoric Earth?" He pushed a couple of buttons on the console, then looked up quickly, his eyes sparkling, focussed behind Martha, looking out the open doors. "I've always wanted to try this..." he said quietly. "Try what?" asked Martha suspiciously. "This! Here it comes, hang on to something!" A second later, the shockwave hit. Tossed about like a leaf in a hurricane, the TARDIS bounced around, riding the shock front like an insane surfer. Martha grabbed the edge of the console and clung on for dear life. She looked across at the Doctor, but he didn't look worried. Quite the opposite in fact. He had that expression of childlike excitement and wonder on his face. "Woooo hoooooo!" he yelled. "Now that's the way to travel!" "You," she exclaimed, "are *completely* mad!" "Oh yes!" he grinned back as the shock passed by. The TARDIS slowly righted itself and once more dematerialised. What you have just read is a fictional story. Supernova 2007gr was real, however, and the event described is based on the paper "A mildly relativistic radio jet from the normal Type Ic Supernova 2007gr" by Paragi et al, published in Nature on January 28th 2010. Read the press release from JIVE. You can also hear an audio versionof the story I narrated for a laugh. Thanks to everyone who read and commented on early drafts, especially PS and JB! Doctor Who and the TARDIS are trademarks of the BBC. My next post requires a bit of explanation, so here goes. I'm an astronomer (in case you hadn't worked it out already), and a couple of years ago I was involved with a piece of research which has now made its way into tomorrow's issue of the journal Nature. Now, Nature is one of the more well-known journals, and getting your work in there is a pretty rare occurrence for most researchers - it's certainly the first time anything I've done has been in there. Publication in such journals usually involves press releases and some media coverage, and this is no exception. There is a press release from JIVE, the home institute of the lead author, Zsolt Paragi, and some of the other institutes as well, and I was interviewed by Stuart Gary of the ABC's StarStuff podcast this morning. In the process of putting together the news segment for the Jodcast each month, I read a lot of press releases. Some are better than others, most are pretty readable, but the general public mostly never read them. What they see are the stories filtered through press officers, journalists and editors. There's nothing wrong with that, most of the time the system works pretty well. But I wanted to do something different. So, I wrote a story. Not a news story, but a piece of fiction which explains some of the science behind what is contained in the Nature paper. It's based on Doctor Who and, while it uses the character of the tenth Doctor, the idea really comes from my early memories of the character when I was a child. The first time I came across the concept of entropy was in the novelisation of Logopolis - the story where Tom Baker regenerates into Peter Davison after falling off something that looks suspiciously like the Lovell telescope. This was some ten years before entropy was ever mentioned in any of my physics classes, but I remember being fascinated by the idea. I think Doctor Who may be partially to blame for me becoming a scientist. Last year I was very lucky to be able to spend a couple of nights in the Murchison with a group of Indigenous artists, looking at the land, the sky and exchanging stories and ideas. Based on the experience, the artists created an exhibition of more than eighty unique pieces of art which have been displayed at various venues around Australia during the International Year of Astronomy. The exhibition was named "Ilgarijiri", a word meaning things belonging to the sky in the local Wadjarri Yamatji language. It was an amazing project, and I feel privileged to have been a part of it. 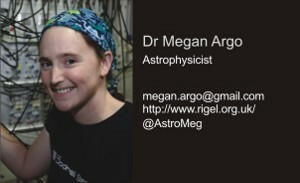 If you're going to the Communicating Astronomy with the Public meeting in March you may well hear a talk on the project, but if you're not you can read always read the project's blog, and now you can hear some of the artists and astronomers talking about the sky in the January 21st episode of the 365 Days of Astronomy podcast. It's hard to believe that the Jodcast has been going for four years now! In some ways it feels like we've been doing this forever, in others it's like we started only yesterday. In that time we've produced 80 audio podcasts, 9 video podcasts, and recorded specials from National Astronomy Meetings in Preston, Belfast and Hertfordshire, and the IAU General Assembly in Prague. Interviewees have included countless astronomers, some of the most well-known include Sir Bernard Lovell, Prof Jocelyn Bell Burnell, Brother Guy Consolmagno and Sir Martin Rees. We've gone through some changes in that time. The team has fluctuated as people have departed the Observatory, and we've made other alterations to the format thanks to the feedback and constructive criticism of our listeners. In May 2007 we began producing two shows a month, and in September 2008 we acquired a forum after many requests from listeners. We've even had translations of the news into several languages thanks to an intrepid team of students from various places. The music and the intros have stayed though - as Stuart has pointed out before, they are the audio equivalent of Marmite, you either love 'em or hate 'em. We love 'em. Thanks to Dave and his talented voice actor chums, we've done take-offs of mini-dramas based on Star Wars, Doctor Who, Dracula, Harry Potter, and many, many others. Intros have even included the voices of Phil Plait (the Bad Astronomer), John Barrowman (a.k.a. Captain Jack Harkness, Dr Who/Torchwood), and the April Fools Day 2009 show saw a takeover by Pamela Gay and Fraser Cain from Astronomy Cast. Rounding out the end of our fourth year, Jodcast Live saw fifty listeners make their way to Jodrell Bank where they were treated to a behind the scenes tour from the team before settling down to watch two shows recorded before their very eyes. Special guests were Dr Chris Lintott and Sir Francis Graham Smith who were both interviewed by the great Dr Nick, interviewer extraordinaire. I've been responsible for the news from the beginning. That has gone through some changes as well. The early comments from listeners were that I spoke too quickly, something which I've tried to alter (hopefully successfully). In the early days I just picked stories that sounded interesting, but it has evolved to the point where the main stories are all from scientific papers which must either have been published in or accepted to a peer-reviewed journal in the month prior to the show's release. These rules are entirely self-imposed, but (hopefully) make for topical and reliable stories. Personally, I've thoroughly enjoyed it. From the very first meeting where fifteen of us got together in the tea room at Jodrell it was obvious it was going to be a lot of fun. It's a lot of effort producing the shows; the ringleaders - Stuart, Nick and Dave - have put in a huge amount of their own time over the years (quite frankly, I don't know when Stuart finds the time to sleep), the news on its own takes a week of my spare time each month, but I think it's worth it. Sometimes we get feedback from listeners who have been inspired to start studying or use a telescope for the first time, and that just makes all the hard work worth while. The International Year of Astronomy officially comes to an end on January 9th and 10th with a closing ceremony held in Padova, Italy. 2009 saw thousands of individuals in over 148 countries get involved in taking astronomy out to the public in countless events happening around the planet, all celebrating 400 years since Galileo first turned a telescope to the sky. Amongst other events, numerous public star parties and viewing nights were held, many professional observatories hosted open days for the public, and many major projects were initiated, several of which will continue on in the years to come. The anniversary year may be coming to an end, but the cooperation will continue though the IYA legacy programme "Beyond IYA2009" which will aim to sustain the networks, activities and innovative concepts for education and public outreach in astronomy which have been so successful throughout the year. Stars the size and mass of our Sun end their lives by first expanding as red giants, then shrinking to white dwarfs. Stars heavier than this however, come to a much more violent end. For stars with masses between about 10 and 100 times that of the Sun, they continue fusing hydrogen to form helium in the core, until they run out of hydrogen. They then begin to fuse the helium nuclei together to form heavier elements such as carbon, nitrogen and oxygen. This carries on through the elements until iron, at which point the core collapses to form either a neutron star or a black hole, and the outer layers are expelled in a giant explosion known as a supernova. For stars heavier than 140 times the mass of the Sun, theory suggests that there may be another mechanism causing the explosion. Counterbalancing gravity inside a star is radiation pressure, the force of the photons themselves which help stop a star collapsing under its own gravitational pull. In very massive stars, when the temperature rises above 1,000,000,000 kelvin, these photons can undergo a process known as pair production where they create an electron and its anti-particle, a positron. This reduces the number of photons in the star, reducing the radiation pressure and, if it happens on a large enough scale, allows the star to begin collapsing. The result is the ignition of oxygen in the core, and the end of the star in what is known as a pair-instability supernova. Models of this type of supernova are fairly robust, but have never been confirmed observationally. But now a team led by Avishay Gal-yam at the Weizmann Institute of Science in Israel, have discovered the first evidence of such an explosion taking place. They observed the supernova known as SN 2007bi and compared their observations with predictions from models of pair-instability supernovae. Their data fit the models very well, providing the first clear evidence of this type of explosion. Stars this size and much larger are thought to have been common in the early evolution of the universe, contributing significantly to the chemical evolution of the early galaxies, so confirmation of the models is an important step in understanding how the universe came to be the way we see it today. Gamma ray bursts are highly energetic explosions which release enormous amounts of energy in just a few seconds. So-called because they were first discovered through their intense gamma-ray emission, these explosions can be seen across the visible universe. The exact nature of the jets which give rise to this emission is however, not certain. Different jet models predict very different properties of the magnetic fields present in the out-flowing material. Some models suggest that weak magnetic fields are present only locally within parts of the jet where they are created by shock waves, while other models suggest that large scale magnetic fields are generated by the central engine itself and help to both accelerate and collimate the jets. While the Earth's magnetic field is not particularly strong, it is easy to detect with a simple compass. Detecting the strength and location of magnetic fields in an object many millions of light years away is much, much harder, so determining which model is correct is not straightforward. Luckily, magnetic fields affect electromagnetic radiation, so the strength of the magnetic field can be inferred from the polarisation of a signal. The presence of a large-scale magnetic field would result in the oscillation of the electric field of an electromagnetic wave having a preferred orientation. Objects which emit light randomly have no preferred orientation of this field and are said to be unpolarised, so measuring how polarised the light is can tell you something about the strength and the extent of the magnetic field in the object which generated the emission. Using a new instrument designed to measure the polarisation of visible light, a team led by Ian Steele at Liverpool John Moores University, have measured the polarisation of the emission from the gamma ray burst known as GRB 090102, first detected by the Swift satellite on the 2nd of January 2009. Because the emission from these objects is so short-lived, ground-based observations are best done by robotic telescopes which can respond rapidly to alerts from gamma-ray satellites such as Swift. In this case, the optical observations were made with the Liverpool Telescope, a 2-metre robotic optical telescope located in the Canary Islands. What the team found from their observations was that the light coming from the GRB in the first few minutes after the initial explosion was about 10 per cent polarised, which suggests that large-scale magnetic fields are present in the jets. A polarisation of 10 per cent is actually quite high for an astronomical object. If the magnetic fields in the jet were only present locally in shocks fronts, then the overall polarisation would cancel out or be very small. The presence of such a high level of polarisation provides support to the idea that large-scale fields are present and have a great effect on the nature and dynamics of the outflows from a gamma-ray burst explosion.